When it comes to estate planning, Brave Law Center can help you every step of the way. From creating a plan and everything in between, our team will take care of you. Estate planning is the process of anticipating and arranging for the management and disposal of a person’s estate during the person’s life and at or after death, while minimizing gift, estate, generation skipping, and transfer. Estate planning includes planning for incapacity as well as a process of reducing or eliminating uncertainties over the administration of a probate and maximizing the value of the estate by reducing taxes and other expenses. The ultimate goal of estate planning can be determined by the specific goals of the client and may be as simple or complex as the client’s needs dictate. Guardians are often designated for minor children and beneficiaries in incapacity. Estate planning involves the will, trusts, beneficiary designations, powers of appointment, property ownership (joint tenancy with rights of survivorship, tenancy in common, and tenancy by the entirety), gift, and powers of attorney, specifically the durable financial power of attorney and the durable medical power of attorney. 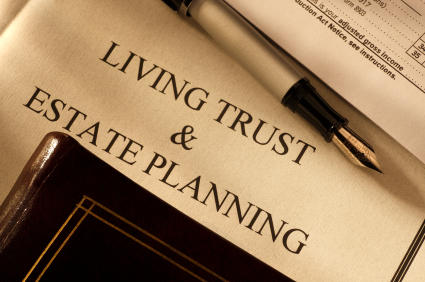 Estate planning attorneys now often advise clients to also create a living will. Specific final arrangements, such as whether to be buried or cremated, are also often part of the documents. More sophisticated estate plans may even cover deferring or decreasing estate taxes or winding up a business. If you need help with estate planning, please contact the Brave Law team at 309-685-7900 today!